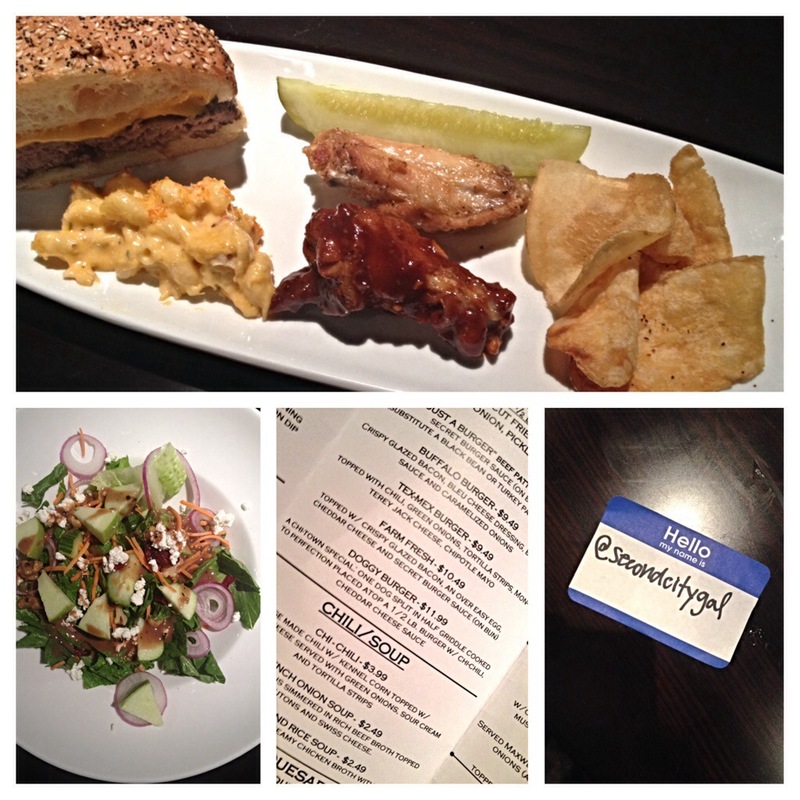 This time last week, I was nervous and excited about my first #Foodiechats event at West Loop’s Chi-Town Eatery. I was invited in a direct message on Twitter, and was thrilled to be included. These live events take place every Monday at 7 pm CST, and #Foodiechats shares 10 questions for the foodie community to answer (with a new topic each week). On this particular Monday, the event was hosted at Chi-Town Eatery, a new fast casual restaurant in the West Loop. Saying yes to this event was so full circle for me. A year ago, I was tired of doing the same old thing in the city I love. And now, I’m stepping outside of my safe zone, and going to a blogger event on my own–as Second City Gal. I walked over on that snowy day, ready to be social and have a good time. Everyone was so kind and friendly. I arrived as close to on time as I could, and sat down with some other bloggers. More and more people came, those who were active on social media, young and old, shy and loud, and we had a great time. I quickly became friends with @kalehummus, @FlavCity, and @ArtDessi, who were also newbies to the event. (Shameless plug to check them out on Twitter!) We talked a lot about what we do, food in Chicago, the #FoodieChats questions, social media, and everyday life. It was fun to hear about husband and wife duo @FlavCity and @ArtDessi’s adventures for their online cooking and travel show, and @kalehummus and I bonded over our love for Chipotle and Native Foods! There was so much food to sample at the event. I was in heaven. The restaurant served tons of food from its menu, including burgers, Mac and cheese, wings, kettle chips, chocolate covered strawberries, and lots more. We were also told we could order anything off of the menu, so I tried the salad with goat cheese and apples. Yum! 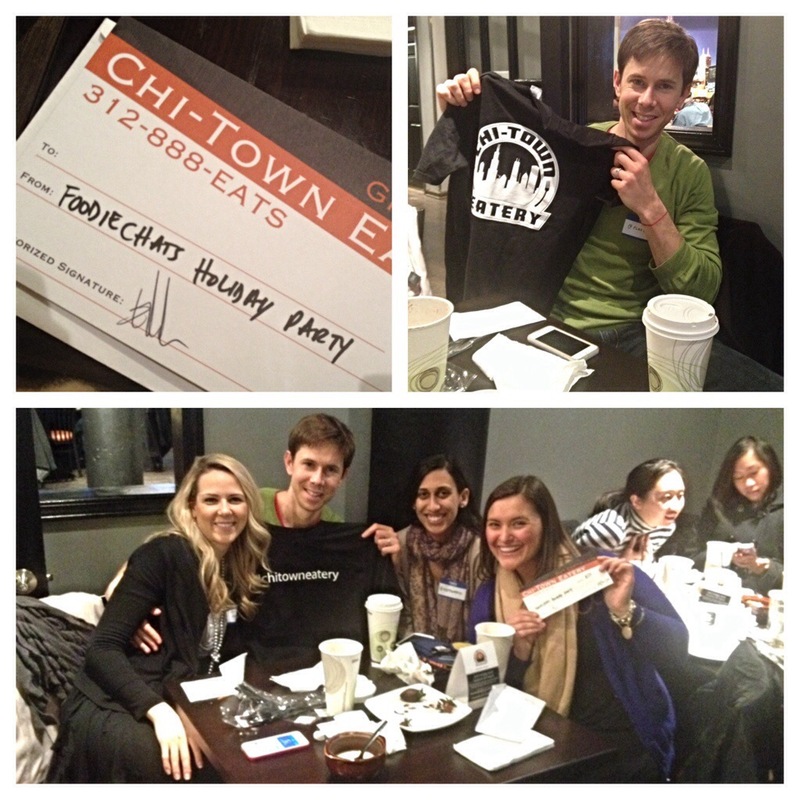 At the end of the evening, they held a raffle where I won a gift certificate to Chi-Town Eatery–how cool is that? @FlavCity won a t-shirt, so we dubbed ourselves the winners’ table. I had so much fun at this event, and it really got me excited about this blog, and I’ve decided to continue the project in 2014. 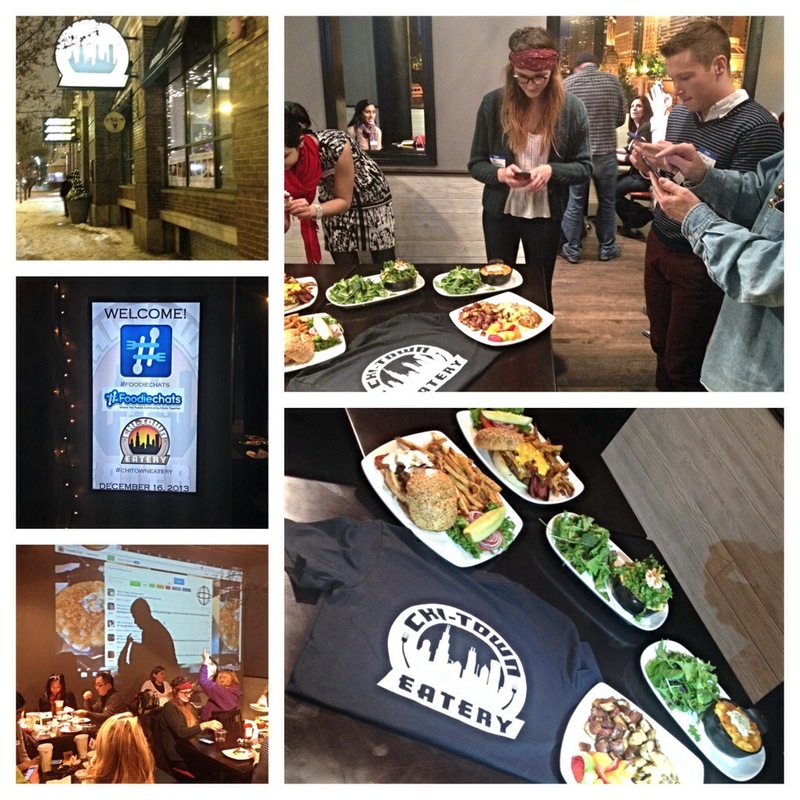 Look out for more great adventures with Second City Gal…hopefully more #Foodiechats events, too!